Happy Valentine’s Day, Hungry Texans-verse! 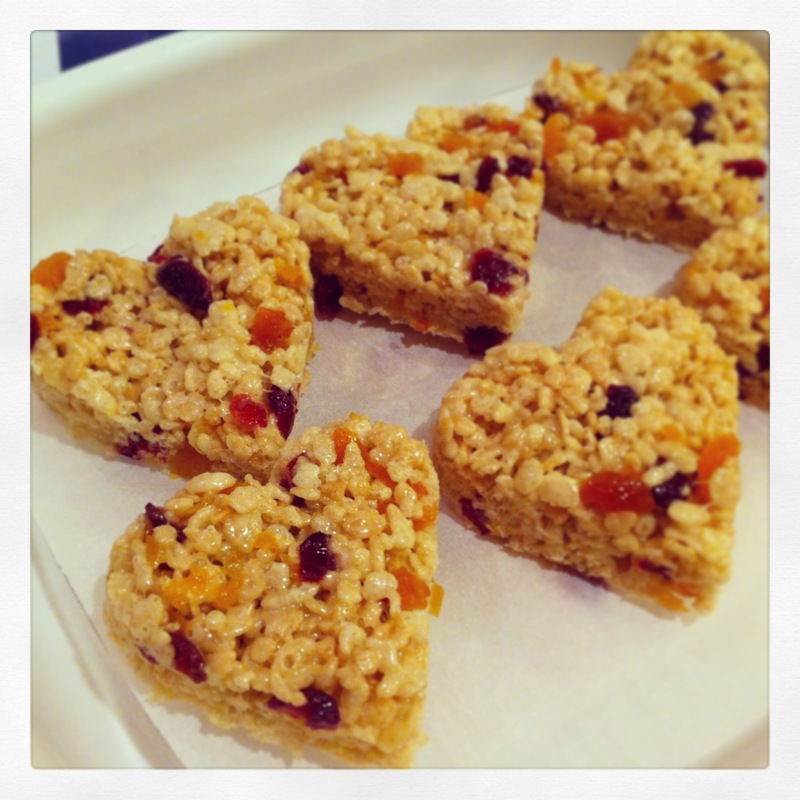 If you’re looking for a quick treat to shower upon your loved ones today whip up a batch of fruit-filled rice krispies! Five simple ingredients and voila! The two tricks to this recipe are opting for the stove over the microwave & adding in some chopped fruit to add a little flavor “pop” to the puffed rice “snap” and “crackle”. Brown your butter on the stove. Stir and melt marshmellows into your browned butter. Add rice krispies & dried fruit. Spread your mixture onto a parchment lined baking sheet. Let cool 20-25 minutes and then use cookie cutters to cut into your desired shapes. Childhood nostalgia with fruity pizazz! Hope your Valentine’s Day snaps, crackles, and pops!